Vacation Bible School (VBS) is just around the corner, beginning Monday June 19th through the 22nd. If you haven’t already registered your elementary age child, you can complete that here: https://vbspro.events/p/events/8d9ea7. What can I expect at VBS this year? Our theme this year is Paul and the Underground Church. If your child has been attending the Sunday morning worship gathering in Redeemer Kids’ Ministry, then they have already begun practicing music for this year’s VBS. In addition to singing and hearing from God’s Word through a dramatization of the Apostle Paul’s teaching, kids will get to experience a functional marketplace! They will be given coins to bargain with our shopkeepers for fun crafts and a snack each day. Since there will be small skits performed while kids are in the shops, they might even catch onto some of the subtle clues given by the Christians throughout the marketplace about what it is like to love Jesus even when it is dangerous or costly. This VBS is highly interactive, and everyone running the shops will be prepared to take opportunities for sharing about Jesus while they work. As a part of Redeemer Kids’ Ministry, our hope for VBS is that kids would be exposed to the hope of Jesus and that they would set their hearts and minds on things above rather than earthly things (Col. 3:1-2). 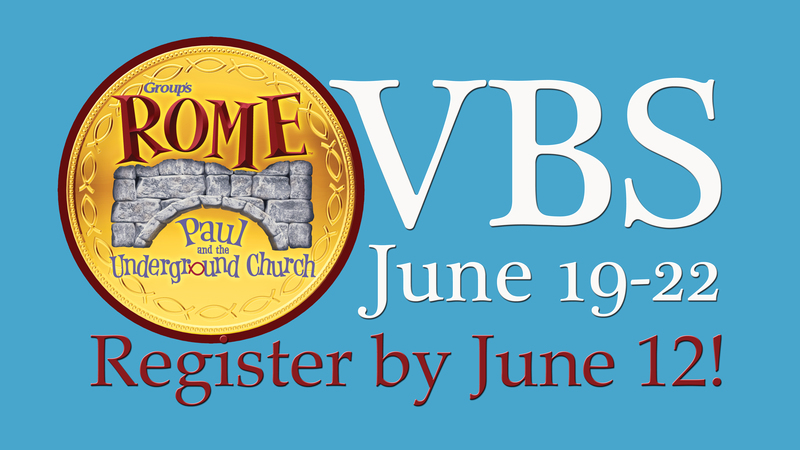 VBS is open to the community! We have classes from Kindergarten up to 5th Grade. Register quickly though; the spots are filling up fast! Attending VBS is free, but if your child would like a T-shirt or CD we will have those for sale on the first day for $10 each. What time should I drop off my child and pick them up? Each morning from Monday to Thursday, we will start at 9:00 and end at noon. Doors open at 8:45 followed by a short tour for the parent(s) or guardian and concluding with directions to your child’s class. Be sure to introduce yourself to the Family Leaders in that class as they will be getting to know your child and guiding them the entire week. When you arrive at noon to pick your child up, they will be right where you dropped them off. Follow the directions of volunteers to safely check your kids back out. It’s not too late; we can still use your help! If you are not already fingerprinted, please pick up a Live Scan Form in the church office or at children’s check-in on Sunday morning and follow the directions on the first page. Then, be sure to attend the mandatory meeting at 8:00 this Sunday, June 4th. We will be able to get your contact information and place you in a position then.